Alex Labejof is from France.he is a professional sculptor since 1985. 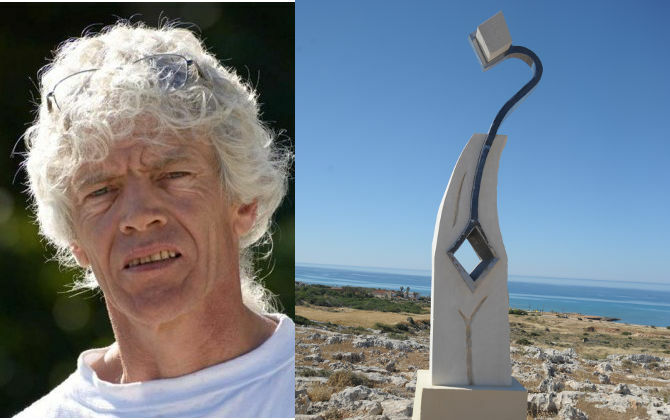 He has several monumental sculptures located in France , Italy, Germany , Finland, Latvia , Austria , Turkey, Israel, Mexico, Dubai, Korea, Burkina Faso.He mainly works combining stone and metal on a architectural style. He participated in exhibitions and symposiums in many different countries. Title of the project: "YIN and YANG"
Concept: " The sculpture is full of contrasts and complementarity between stone/steel, empty/full, light/shadow, in/out, fragile/solid, light/heavy, raw/smooth. It suggests that no black colour exists without white, no music without silence, no movement without steadyness, no you without me, etc, and ymbolizes Yin and Yang to say that living together means accepting the differencies".